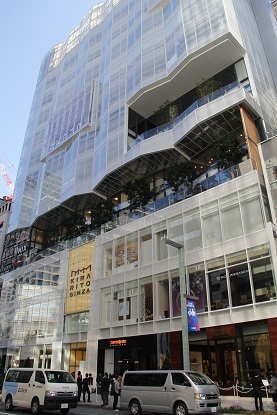 Home > News > New shopping center “KIRARITO GINZA” has opned at Ginza, Tokyo ! New shoping center has opened at Ginza today ! This building has 12 stories, 66m height, and 52 shops. Concept is brilliant life stage. It was built with the hope that this shopping center will be a brilliant place for all customers. It’s not far from our office. why don’t you go and check Tokyo’s brandnew scenery ?